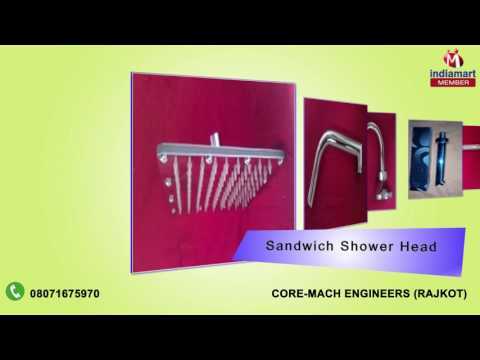 Established in the year 2008, at Rajkot (Gujarat, India), we, Core-Mach Engineers, are the leading manufacturer, wholesaler and trader of a wide range of Sanitary Wares, Furniture Fittings, Bathroom Accessories, Door Accessories, Glassware Accessories, Cabinet Handles and Sofa Legs. These products are designed and crafted by our team of highly skilled designers using high-grade raw material and advanced technology. The raw material we use in the production of these products is sourced from reliable vendors of the industry. These products are widely demanded in the market for their features like smooth texture, perfect finish, high durability, elevated strength, beautiful look and stunning designs. We offer these products in various specifications in order to meet the varied choices of clients.